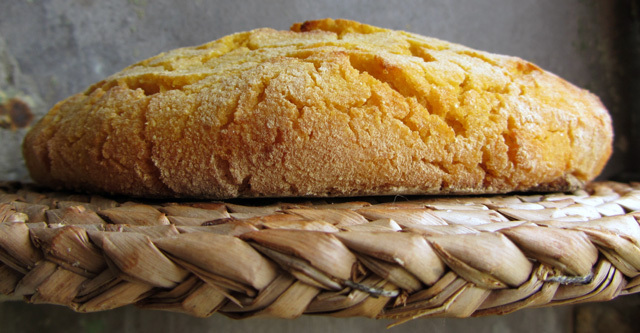 Jeremy and Azelia have both covered Broa, the Portugese corn bread. Making a bread you have no experience of is tricky because you have no benchmarks and especially when it involves making a porridge of maize where the hydration can vary so much. 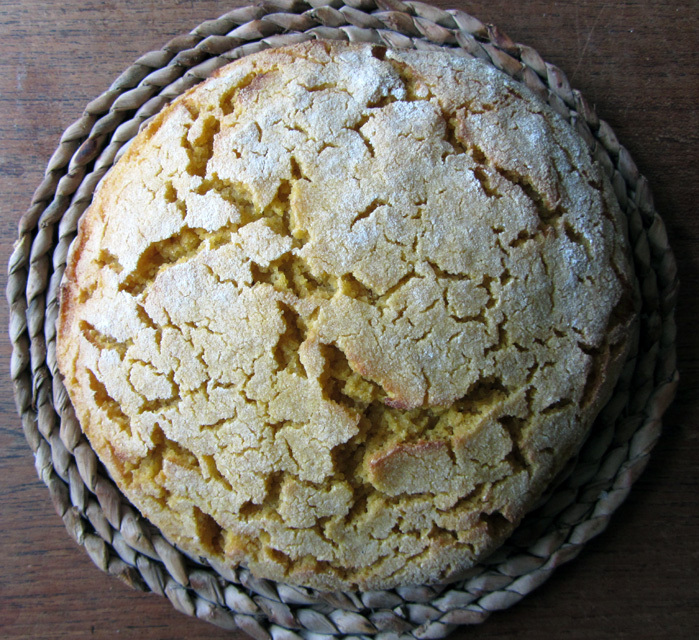 This one comes from The Taste of Portugal by Edite Vieira, a yeasted recipe I converted to sourdough. 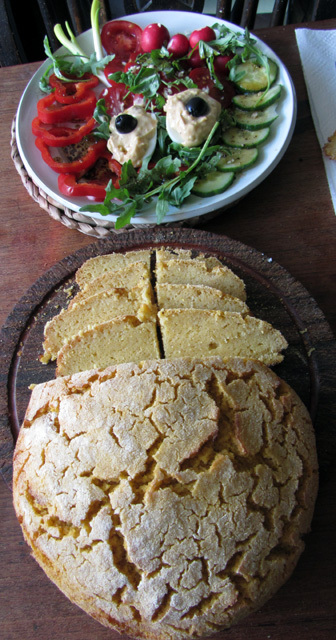 She calls for coarse maize meal – I only had fairly coarse polenta which is more gritty than meal. To this is added about a quarter of strong bread flour (450g:175g). The method is to mix the maize meal with 600g boiling water, stiring in the flour, yeast and 15g salt when cooler. I added the flour in the form of starter at 100% so reduced the water by 175g, i.e. 350g starter. The dough seemed a little dry so I then added an additional 80g water. Fermented overnight in the fridge (mainly because of the time of mixing) and proved for about an hour and a half. Not bad for a first attempt. Waiting to see how it develops.